Thank you for taking the time to learn about our company. 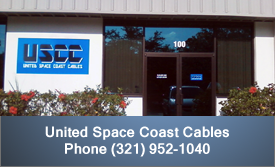 USCC has an open door policy, no appointments necessary visitors are always welcome to tour our facility. During your visit you will be able to experience the knowledge, efficiency and organization of USCC. We look forward to building a life long partnership with you and your organization, thank you. We’d love to hear from you. You can contact us by phone or just drop us a line by completing the form at the bottom of the page. Fill us in on your project requirements or maybe you have a question for us. Whatever the reason, you can always feel free to let us know what’s on your mind.